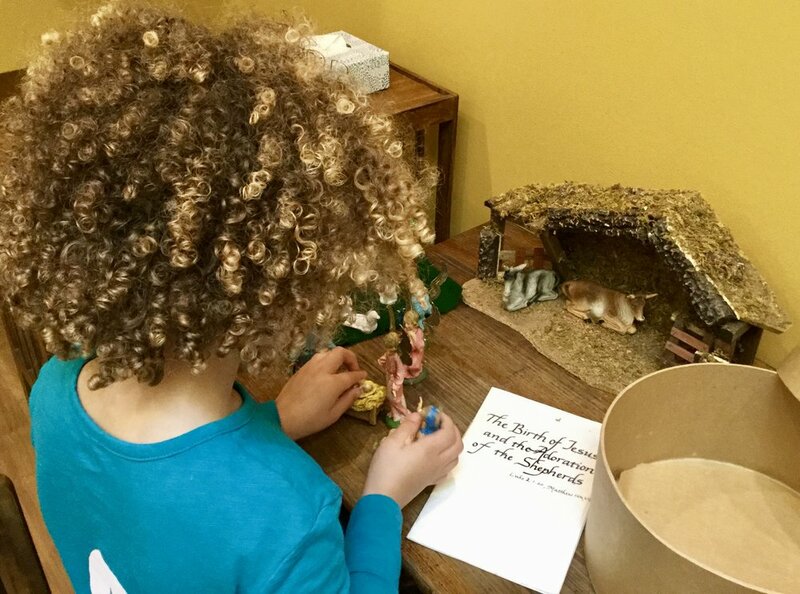 Our Lady's Montessori School follows the Catholic tradition. The Catechesis of the Good Shepherd is a curriculum for the religious formation of children. It is rooted in the Bible, the liturgy of the Church, and the educational principles of Maria Montessori. Children gather in The Atrium, a room prepared for them, which contains simple yet beautiful materials. Our Lady’s Oratory is a sacred space reserved for quiet meditation and prayer. We are blessed to have the Eucharistic presence of Our Lord always with us. We welcome families, and friends, to sign-up for an hour of adoration on the First Friday of each month. Please call the office for more information. We celebrate Mass on the 1st & 3rd Thursday of each month at 10:15am. OLMS has a special book located in the school Oratory, please contact us with your prayer intentions, to be included each Mass & First Friday adoration.